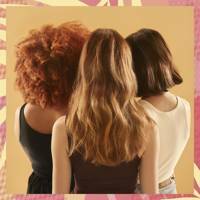 From rich reds, bold brunettes and bright blondes, it's time to spice up your hair colour with the latest hair hues for winter. 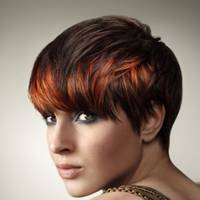 Take your inspiration from gorgeous redheaded chanteuse Florence Welch and work a shimmering, rich autumnal russet red. 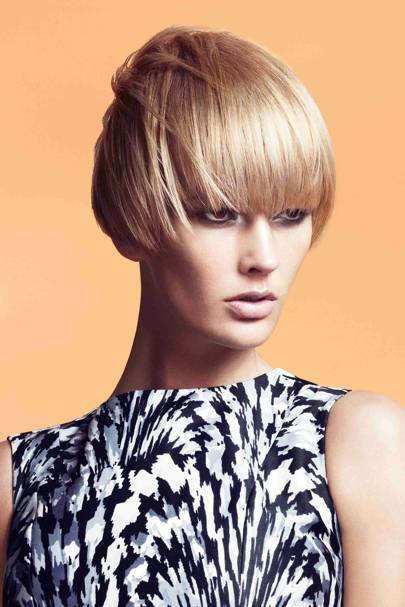 Flat colour is definitely out for winter - the new trend is for sculptural colour. 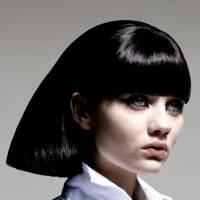 The latest Vidal Sassoon Shape and Balance technique places colour in a very precise way that enhances the cut and shape of the hair, so you get three dimensional, multi-tonal colour that makes the most of your hairstyle – amazing!! 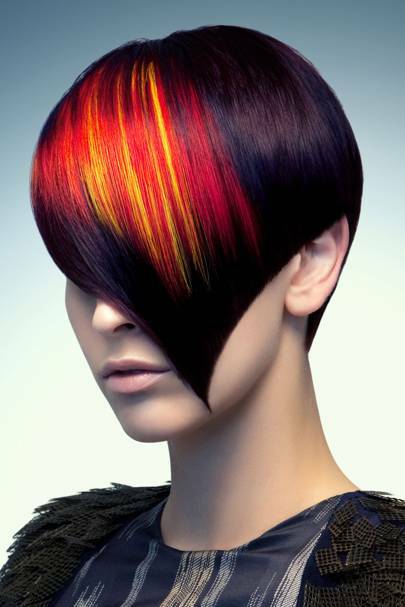 Dynamic diagonals of colour through the hair give a vibrant, multi-textured effect to the cut and make the most of the style. 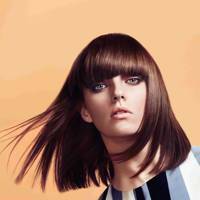 The new Choc Ice technique from A-list London hair salon Neville means that your newly-coloured dark, glossy brunette will stay that way. 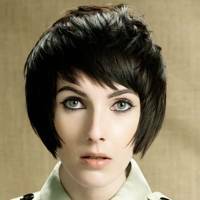 By using just a pure, dark palette you don’t get that reddish, dull tinge that can appear after a few weeks. 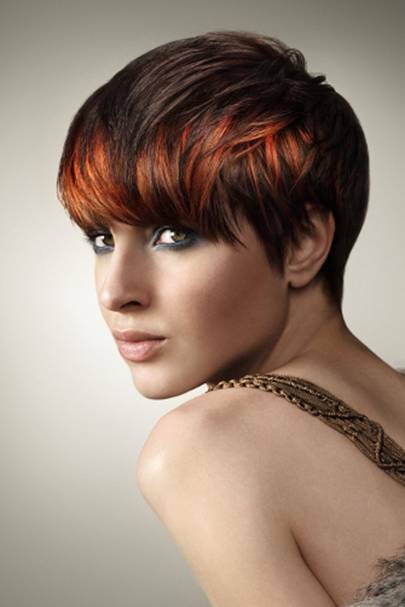 Go flame haired and fiery with chunky nutmeg and copper tones sliced through a choppy crop. 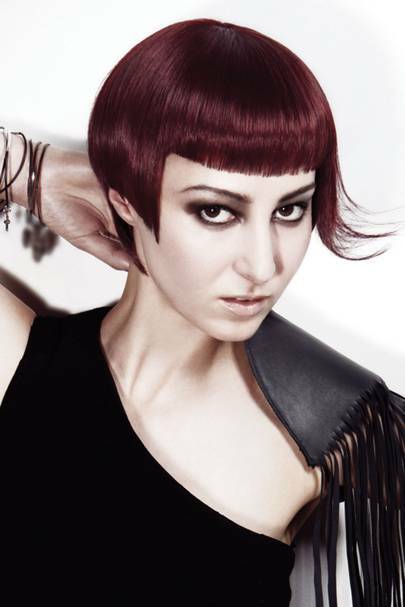 Seductive and subtle, intense blackberry and dark cherry tones kick through the hair for a little drama. 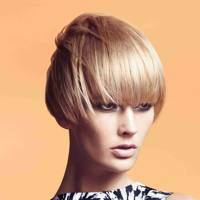 Just because it’s winter that doesn’t mean you have to go dark, blondes can look just as rich and vibrant, especially if they are warmed up with sunnier tones of light apricot and white-gold. 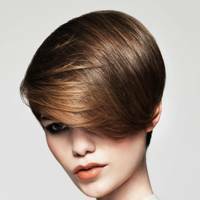 Mousey and mid-toned brown hair has rarely been so hip. 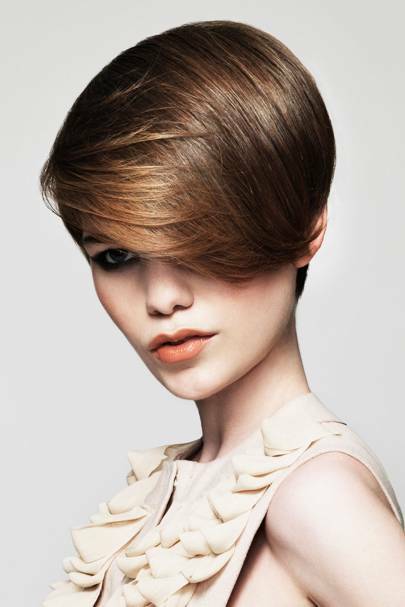 With accents of chestnut and dark honey blonde these neutral shades can look multi-tonal and vibrant. There’s no doubt that red is one hot shade right now, from russet to paprika, ruby and purple. 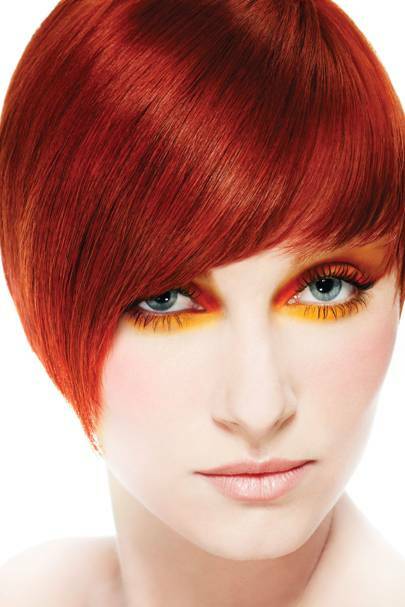 If you’re a pale-skinned, natural blonde or redhead an ultra-bright red will look fantastic on you. 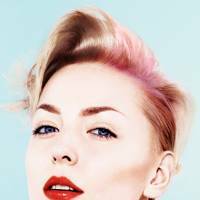 "I love how bold this season’s colours are," says Amanda Harvey, Paul Mitchell Artistic Team at The Cutting Room in Putney. 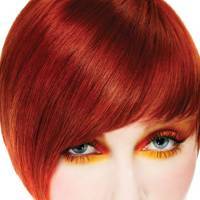 "Rich and opaque shades, from red through to black give an intense shimmer under lights. 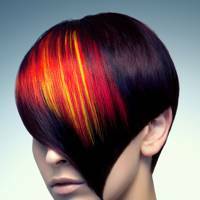 Temporary colour is proving a popular choice Paul Mitchell InkWorks® to give boldness and high shine to an existing strong colour." 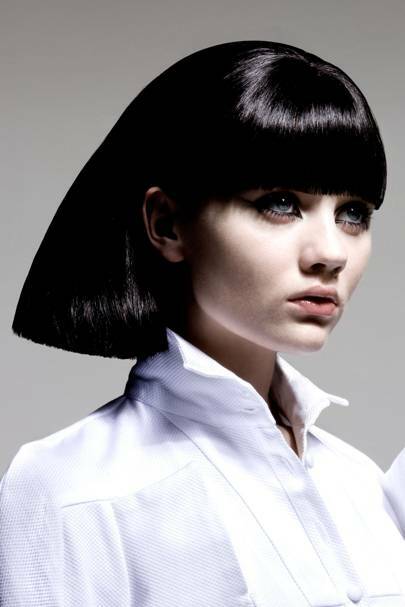 The classic rock two-tone look hasn’t gone away for winter 2010 but Seung-ki Baek at Rush turned it on its head with jet black streaks poking through a blunt blonde fringe – we love this! 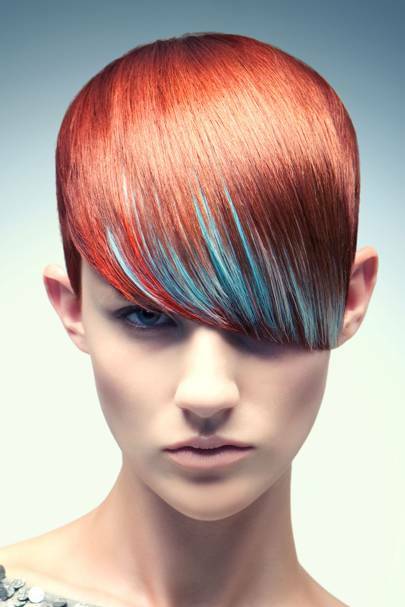 Red doesn’t need more red to be bold, a contrasting blue can pick up this tricky shade effortlessly and with great avant garde effect – a trend to try! Don’t let brown get you down! 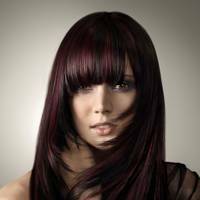 The trend for rich bitter chocolate brunettes with a touch of warmer chocolate brown kicking through is hot right now and is a quick and easy way to revive your colour. 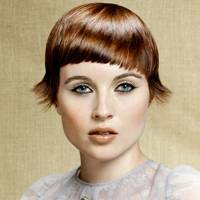 Inspired by iconic Brit brand Burberry, this nutmeg-hued crop shimmers thanks to a multi-tonal colour and offers a cute option if you want to try a reddish shade but don’t want to go too coppery. 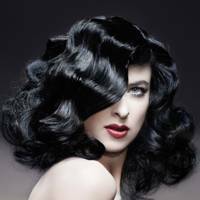 There’s only one way to wear ultra-dark hair this season and that’s with a luxe gloss. 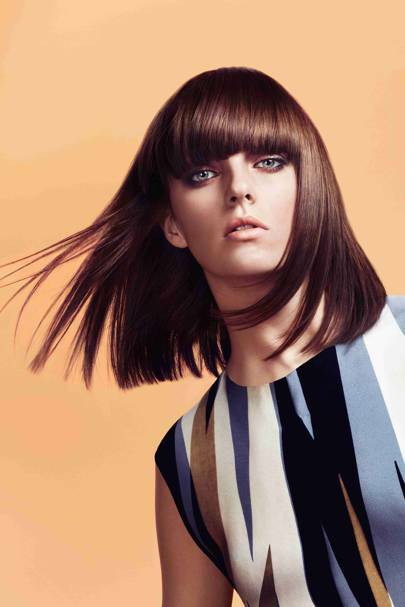 A blunt fringe and perfect waves really show off this lush glossy colour. 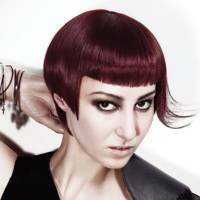 Choose a delicious cherry red for a shade that’s fiercer than regular red but not as startling as pillar box red. 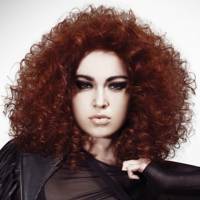 Curls look awesome with a bold colour and as all shades of rouge are a hot trend right now, try a warm auburn/russet hue to show off your wild waves. 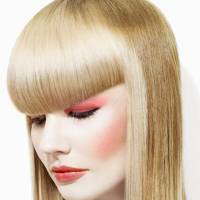 Winter doesn’t have to be about muted tones, go bright and punky with flashes of hot pink and orange set against cool, ice blonde. 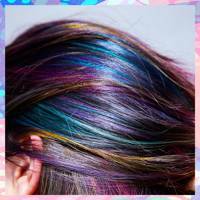 Winter hair colour trends can sometimes overlook blonde hair but not this year! 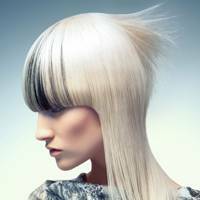 Blonde shades ranged from ice blondes with bold shots of bright colours, to two-tone warm blondes and mid-tone natural blonde. 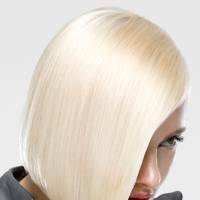 We love this two-tone blonde colour effect, which can be worn sleek and bold or a little messed up so the colour looks more natural. If you’re going to go for a dark, vampy black it needs to be super glossy. 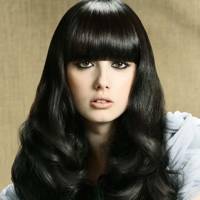 If you want to cross over to the dark side have a thorough consultation with your hairdresser as black can be a tough shade to pull off. 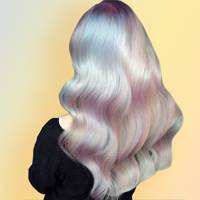 "We’re getting a lot of requests for the Color Care System from Paul Mitchell, when clients go for a dramatic shade like this," says Amanda Harvey, Paul Mitchell Artistic Team at The Cutting Room in London. 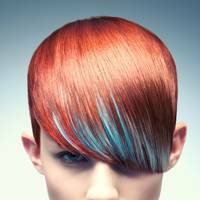 "It helps jump-start hair colour and prevent colour fade – especially when our clients are going for really virbrant shades."